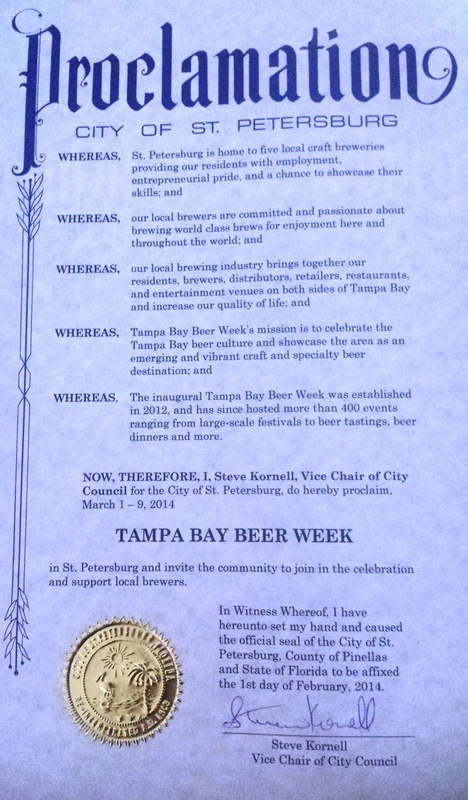 NEXT WEEK (Mar 1-9, 2014) is Tampa Bay Beer Week! Hurray! I hope to see you around town somewhere this week! Sunshine, friends, and great suds! What a great event! Thanks again to everyone including Olga Bof, Brett Andress, Thomas Barris, Brown Distributors, St Petersburg Mayor Rick Kriseman, St Petersburg City Councilman Steve Kornell and the army of volunteers. 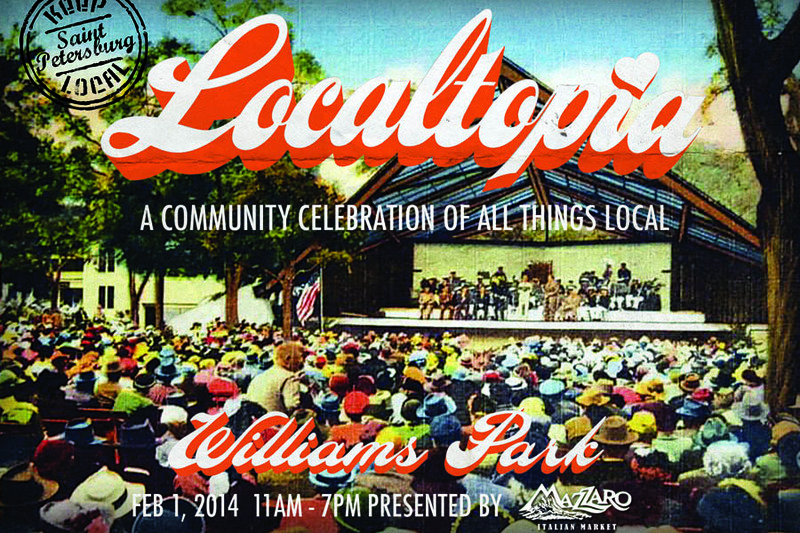 More coverage in yesterday’s post on Localtopia – click here. February 1, 2014 – 75 degrees, sunshine, St Petersburg FL, an awesome army of volunteers, local vendors, and the “Drink Like a Local” beer truck, made for an exciting, fun, and memorable day for families, friends, residents, and everyone in between. It was an amazing event!!!! Huge Bigger than Big congrats on an absolutely amazing event, when you get a chance to settle back, grab a glass of wine and relax with your family be very PROUD of your vision, drive, passion and enthusiastic support in gathering so many locals into our oldest City park for a day to enjoy together as a community. It was absolutely beautiful!! It is all about Local and this event was a fantastic show of what local can do together. THANK YOU THANK YOU THANK YOU to my army (over 50!) volunteer beer pourers whose enthusiasm, energy, patience, and sheer dedication made the day a great experience for those who came out. Here’s a slide show of the event! Can’t wait to see you all at the next beer event… we are an amazing community.